Sully paid his respects to his "best friend," former President George H.W. Bush. 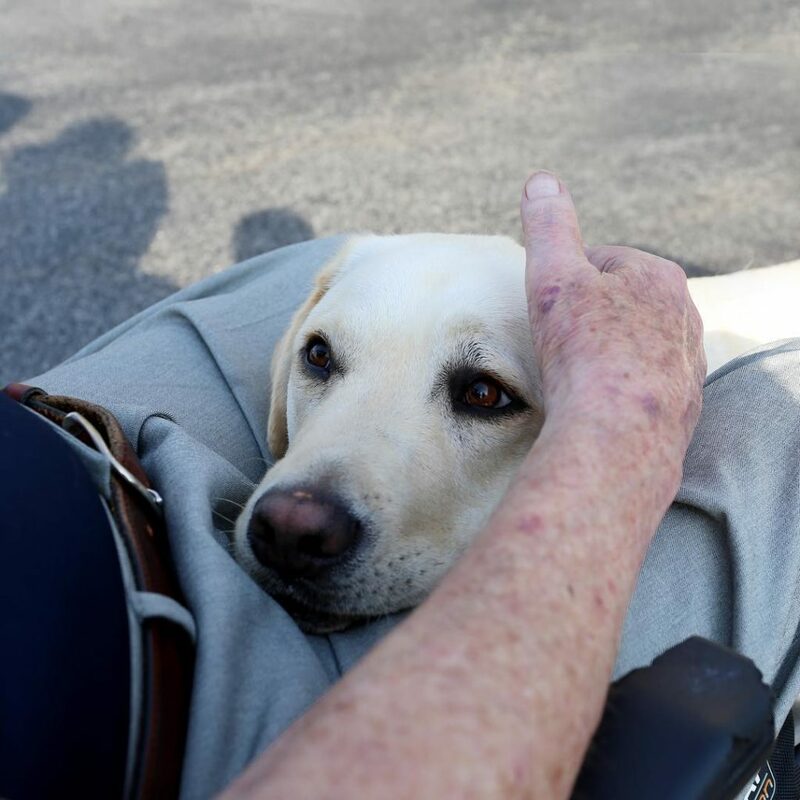 The mission of service dogs is to provide assistance to individuals with certain disability, whether it is a physical one, or emotional. The one thing these canines do best is being loyal. 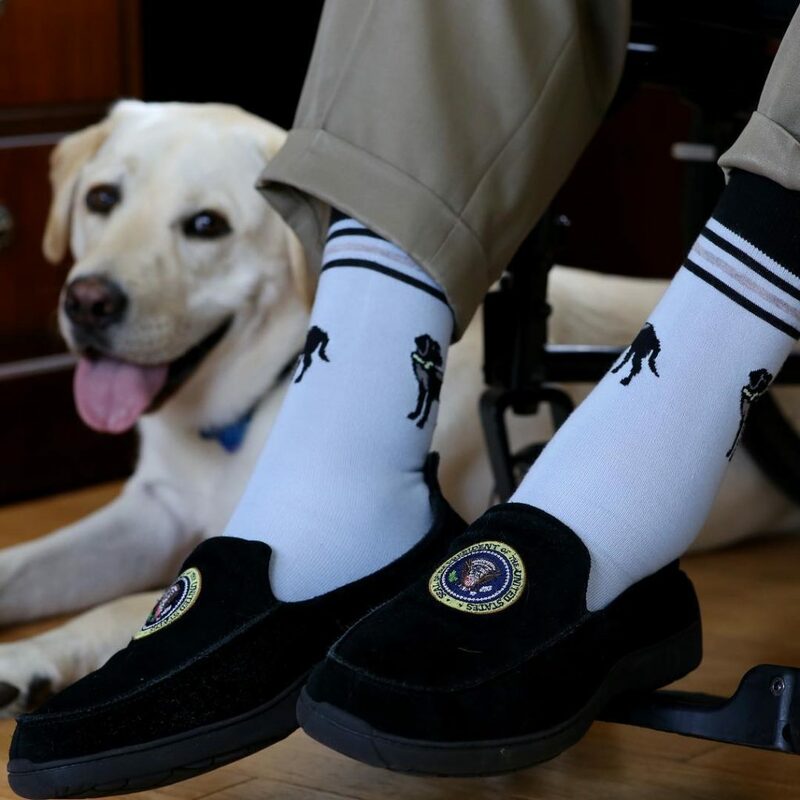 This 2-year-old Labrador retriever spent one year serving former president H.W. 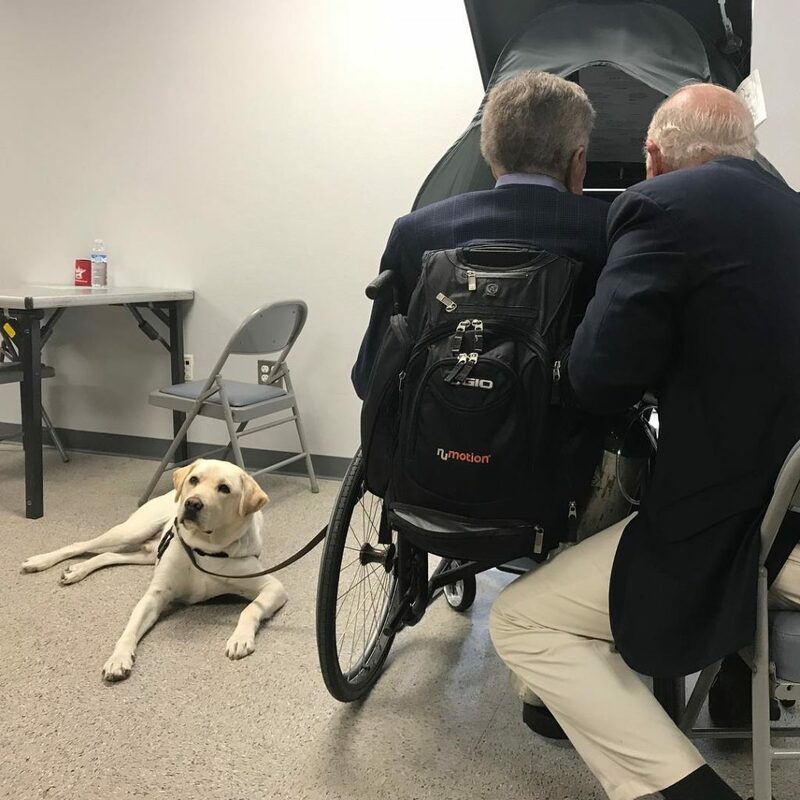 Bush, providing him support during his daily activities. They became good friends, and snaps of the two spending time together were often shared on the social media. 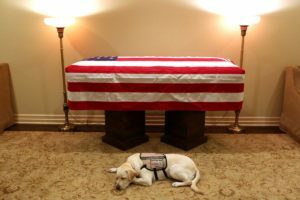 However, the last picture of Sully shows him resting beside the late president’s casket. Along with the photo, Bush’s spokesman, Jim McGrath wrote “Mission complete” and it’s heart breaking. Former president Bush died Friday at the age of 94. 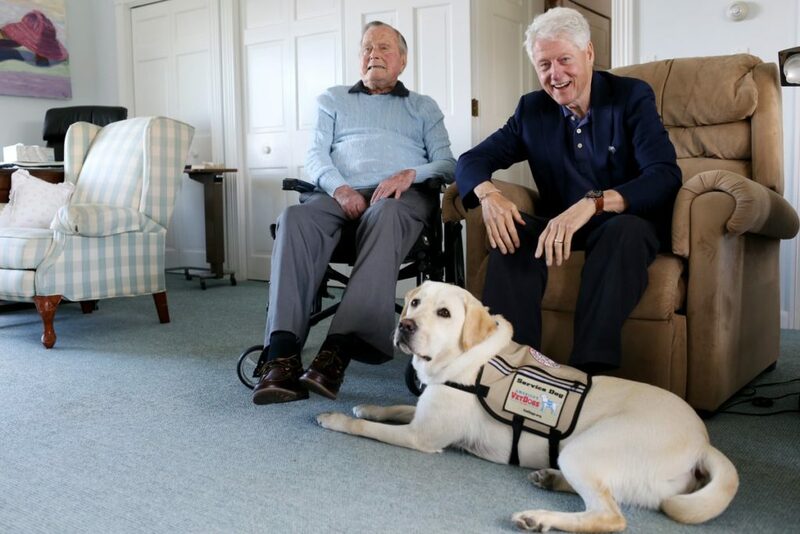 America’s VetDogs told HuffPost in a statement that the pooch was specially trained and matched with Bush to facilitate him with his everyday duties and activities. “Our thoughts and prayers are with the entire Bush family during this difficult time,” the organization’s president, John Miller, said. 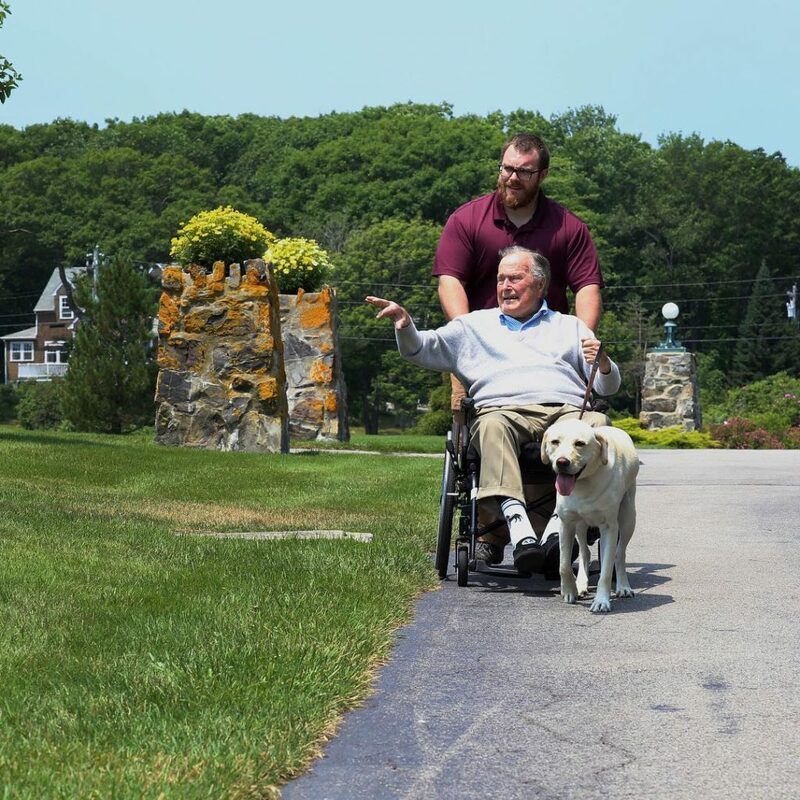 Sully will spend the holiday season at America’s VetDogs’ Smithtown, NY base before he joins the Walter Reed National Military Medical Center’s Facility Dog Program.